Have you found that your home has been infested with insects, rodents, spiders, or other pests? If so, you shouldn’t wait another moment to contact Earthwise Pest Management to help you handle your problem. We have a team of pest control professionals who have the expertise to make your home or business safe from critters that may be invading it. It doesn’t matter if you have a small infestation or your space has been overrun by pests, we can help you to remedy the problem. Let’s take a deeper look into what services we offer at Earthwise Pest Management and how you can ensure that we are the right choice for your home or business. If you want your home or business to be completely pest free, we don’t think that is asking too much. For two generations, Earthwise Pest Management has been working diligently to get rid of pests from both homes and commercial spaces in the Sacramento area. We know that pest control is not always a one-and-done process. Most of the time getting rid of pesky critters is an ongoing battle, at least for a while. However, with our technical expertise and years of experience allow for us to be the most effective exterminator in your area. The main concern that most home and business owners are concerned with when they hire a pest removal company is whether or not they can trust the technician who is working in their home. When you use Earthwise Pest Control, you can be sure that you absolutely can. As a family-owned pest management company, we pride ourselves on the caliber of people we hire to work alongside us and inside your home or business. We have integrity first and foremost, meaning we would never let someone we didn’t trust wholeheartedly join the Earthwise family. When you hire Earthwise Pest Management, there is a level of service that you can expect each time we visit your home or business. Our licensed and caring team of pest removal professionals will go above and beyond for every customer they service, and yes, that means you! 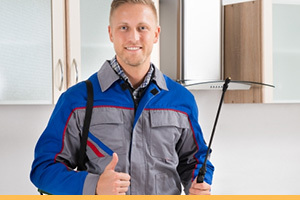 Our exterminators will show up on time, ready to complete the job they were hired to do. They will be respectful and kind, work hard to determine the extent of your pest issues, as well as tell you what your treatment options are. The treatments will then be put into place and a detailed service report will be left with you so that you can know every bit of the work that was completed in your home or business. At Earthwise Pest Management, we offer a wide range of pest control services in Sacramento. Whether your home or business is being invaded by bed bugs, rodents, or something else, we know how to tackle the problem so that it no longer exists in no time at all. Check out some of the services we offer below. As parasites that can easily take over a space, bed bugs are not something that should ever be taken lightly. These small, wingless insects have a reddish brown color and are flat with an oval shape. For the most part, bed bugs are nocturnal and feed on the blood of humans and warm-blooded animals, making them not only a threat to your home but also to your health. Not only that but they transfer extremely easily on cloth materials like clothing, luggage, and more. If you discover that you have bed bugs in your home or business, it is imperative that you contact our pest control team as soon as possible. 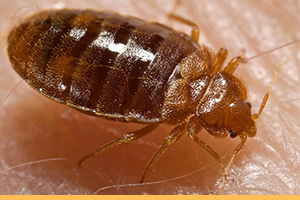 We will first come inspect your space and see if you do have a bed bug issue or if it is something else. If it turns out to be bed bugs, we will discuss proper treatment with you and begin preparation for tackling your infestation. While termites are not directly dangerous to humans as they do not pose a threat to their health, this destructive species can end up costing you a ton of money if they are not detected early. 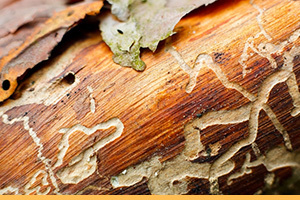 Did you know that termites cause more than $5 billion in damage to homes in the United States alone each year? The saw-toothed jaws of termites cut through wood with ease. With enough of an infestation, these critters can destroy an entire building if given the time. This is what we are aiming to prevent at Earthwise Pest Management. If you ever notice that there are winged bugs flying around your home or business and you cannot easily identify them, chances are you have termites. The only way to know for sure, however, is to have your home inspected by our talented pest control team. We can take a look at your property and evaluate whether termites are your problem, or whether you need a different type of treatment. If you have a mouse in your house or rats in your place of business, calling an exterminator first thing is a must. Rodents are known for being prolific breeders. So even if you think you only have one or two, that number is sure to increase in no time at all. When you call Earthwise Pest Management to handle your rodent problem, we will first complete a full inspection of your home or building so that we can pinpoint any entry points. We will then address the infestation directly by making sure we rid your home of any mice or rats that may be present. Not Sure What Sort Of Pests You Have? There is no need to fret if you can’t quite identify what sort of pest you have in your home or business. Our experienced technicians know the different pests that could be possibly be causing you problems and we can help you to identify them as well. Not only can we identify them for you but we can tell you what sort of issues a certain critter can cause you if the problem goes untreated. We will also offer up helpful tips so that you can take preventative measures and protect your home or place of business in the future. We know we are the best pest control company in all of Sacramento, but we also understand that you have a lot of options to choose from when it comes to who is removing pests from your home or business. This is why we think you should know the proper way to find a reliable and trustworthy pest management company. Is the person who would be performing the services certified and licensed? Can they provide you with a copy of their pest control license? They want to include pest control with another service such as tree trimming or general home repair. They do not have a telephone number listed or their telephone number doesn’t work. They arrive without warning and show you insects that they have found in houses or businesses near your own. They claim they have a secret formula. Chances are their “secret formula” is not registered by the U.S. EPA or the States Department of Agriculture. They try to pressure you into signing a contract right away. They offer a reduced price for any number of reasons, whether it be having leftover materials or something else. 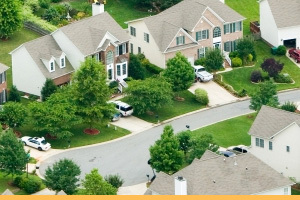 Why Choose Earthwise Pest Management in Sacramento? We know the many reasons you should hire our pest control team, but you may not. Check out the many reasons we are your best bet when you are searching for a trusted exterminator in the Sacramento area. Earthwise Pest Management is licensed, insured and bonded. We pride ourselves on being able to respond to pest issues quickly and arrive on time without fail. We are there to help you solve the issues you are experiencing and not sell you anything you don’t need. We have a level of knowledge and experience that our competitors cannot match. We care about you, your family, your employees and everyone who we can assist with our pest control services. We know you have your choice of pest management solutions in Sacramento, but we guarantee you will never regret hiring our dedicated team at Earthwise Pest Management. If you are curious about the services we offer or you would like a free quote, feel free to contact us today. We would be happy to provide you with everything you need to make your home or business a safer space.